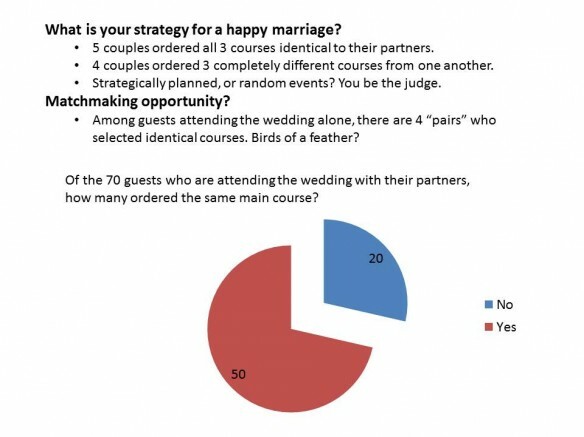 Fun data point of the day: Food strategies for a happy marriage? This entry was posted in Uncategorized by donny. Bookmark the permalink. I always handle the RSVPs in my couple and since I’m a “foodie” who likes to try a bit of everything — tasting menus, tapas, dim sum, sushi, etc are my favorite meals — I always order completely different courses for me and my partner. Donny’s Mini-blog for Friday: What a fun start so far! Fun data point of the day: What’s for lunch?